Colorful leaves are beautiful to look at but they’re not so pretty when they are piled up on your lawn. Excess leaves can restrict sunlight, nutrients and water from reaching your lawn. As a result, your lawn can suffer from disease, insects and overall stress. Plymouth Lawncare, Inc. can tailor a leaf removal program to fit the needs of your property to control possible problems your lawn may endure. Stop spending countless hours of your free time raking leaves. Let Plymouth Lawncare take care of those pesky leaves for you. Not only will we remove the leaves from your lawn and landscape areas but we’ll also take the leaves with us when we are finished. 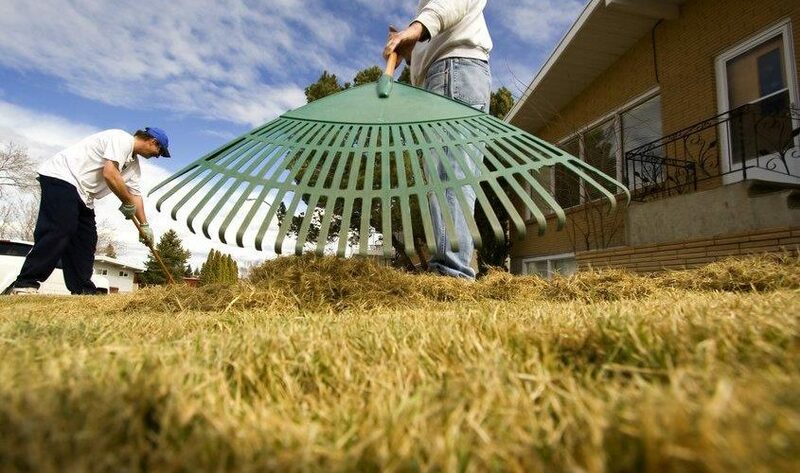 Spring clean-ups include a lawn cutting, as well as removal of leaves, sticks, and debris from flower beds and lawn. The cleanup also includes cutting back any perennials that were left standing during the winter season within 2-3 inches of the crown. Spring clean-ups will be done during the month of April, weather permitting.